Below you can view all the homes for sale in the Midway Woods subdivision located in Decatur Georgia. Listings in Midway Woods are updated daily from data we receive from the Atlanta multiple listing service. To learn more about any of these homes or to receive custom notifications when a new property is listed for sale in Midway Woods, give us a call at 404-998-4097. Walk To The New 77 Acre Decatur Park & Lake. Wow! MLS#6535903. Re/Max Metro Atlanta Cityside. Close To Many Great Restaurants, Shopping, & Parks. MLS#6525703. Palmerhouse Properties. 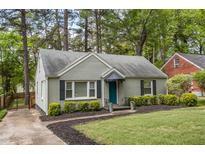 Quiet, Pocket Neighborhood Next To Dearborn Park, Within Walking Distance Of Oakhurst Village, Downtown Decatur, And Avondale Estates. MLS#6535261. Keller Knapp, Inc..
Home Sits On A Nice Flat Lot! MLS#6533415. Palmerhouse Properties. Near Downtown Decatur Without City Of Decatur Taxes! MLS#6530793. Keller Wms Re Atl Midtown. 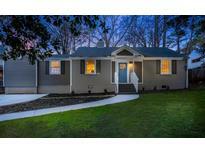 Minutes To Downtown Decatur Or Oakhurst Village! MLS#6527821. Compass. Please Inquire And They Can Be Emailed. Owner/Agent. MLS#6527889. Phox Realty Group, Llc.. Convenient To Friends School, Waldorf School, The Path, & The Proposed 77 Acre Decatur Park! MLS#6525586. Keller Williams Realty Intown Atl. In "Tier 1" To The Museum School! MLS#6522715. First Premier Realty Group, Inc..
Ready For You To Move In And Enjoy! MLS#6516774. Adams Realtors. Jr. Master W/En-Suite Bath, Wrap Around Front Porch. MLS#6512685. Keller Williams Realty Atl Perimeter. This Beautiful Single Level Living Open Floor Plan Home Features 4 Large Bedrooms, 3 Full Baths, Luxurious Finishes, Hardwoods Throughout, Stone Countertops, Upgraded Stainless Steel Appliances, Large Rear Deck, Huge Private Backyard, Vaulted Ceilings, Shiplap Fireplace W/ Custom Cedar Mantel, & A Stunning Master Suite W/ Dual Vanities, 2 Showerheads, & A Large Custom Walk-In Closet. MLS#6087351. Palmerhouse Properties. This Quiet Cul-De-Sac Is In Demand. See 3D Tour. MLS#6501938. Origins Real Estate. Convenient To Decatur Square, Emory, I-20/285. MLS#6126820. Keller Williams Realty Metro Atl. Low Taxes And A Quick Commute To I-285, I-20, Cdc, Emory, Midtown. MLS#6129067. Compass. Patio&Pergola.No City Taxes.Close By 4-30-19,Get New Greenegg! MLS#6121098. Drake Realty, Inc.
Bring Us An Offer...No Blinds, Please! MLS#6091367. Networth Realty Of Atlanta, Llc..